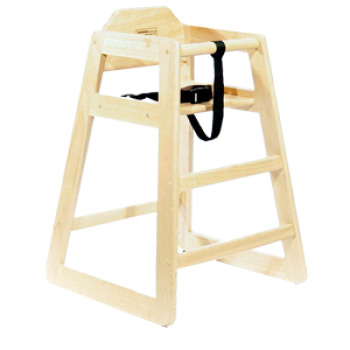 For your very young guests, this safe wooden high chair is made to a very high standard and is completely washable. 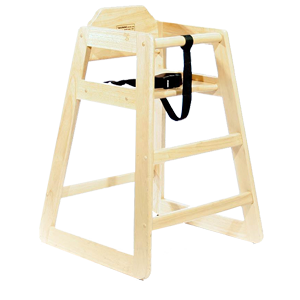 It comes with a tough robust safety harness for security and the wide enforced frame means there is no danger of tipping or falling over. Made to child safety guidelines. Please note: Never leave a child unattended in any high chair.